There's no universal topic for engaging women. Every girl is unique and a topic that bores one to tears may have another one quivering with excitement. When speaking to a girl, use your best judgment as to what subjects hold the most interest for her. If you're at a party, however, you can apply a few general subjects to the situation and have a reasonably good chance of engaging her. Remember to project confidence, and to listen as much as you talk when you chat with her. If you're comfortable with crowds, a local bar provides plenty of small talk opportunities. 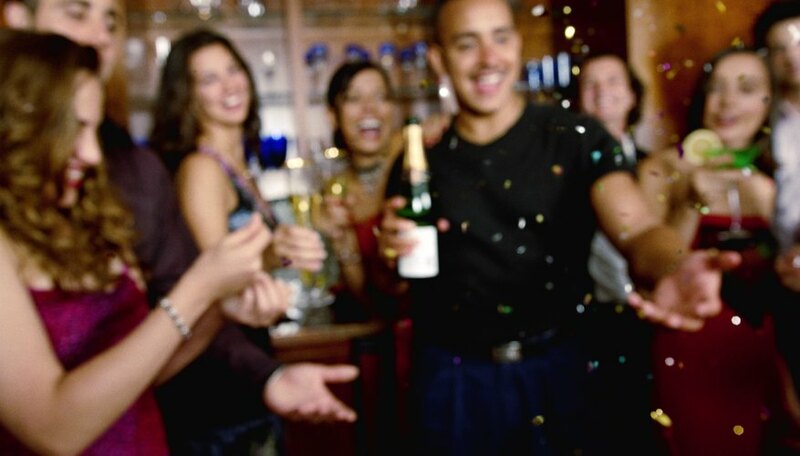 No one just arrives at a party at random, and if you spot a girl there, she likely came for a reason. Ask her how she knows the host, whether she came with a group of friends and what her connection to the overall scene might be. If music's playing, ask her how she likes it. If it's a Halloween party, ask her about her costume. Find out what drinks she's imbibing and why she prefers that particular beverage. Chatting about such topics not only helps engage her more readily, but can quickly move to more in-depth topics, such as her job or her music preferences. Everyone has dreams and things she hopes to do with her life. The girl you speak to may be well on the way to realizing those dreams, or may have to put them on hold while her job or school situation resolves itself. Regardless, there are few better means to engage a girl at a party than to find out what she hopes to accomplish in her life. Ask her about the origins of those dreams and the ways she intends to pursue them, then use it to branch out into similar areas of discussion: where she went to school, what she studied, what kind of tasks she performs in her current job (and how they relate to her ultimate aspirations), and so on. If possible, use the party itself as a fulcrum---co-workers she knows there, for example, or the party's theme (say, graduation) that may appeal to her higher goals. Pop culture makes for excellent party fodder: a good way of chatting with a girl in a positive and upbeat manner. Ask her about the latest movie or record release, a funny video she may have seen on YouTube or television shows that she can't miss. You can use well-known or current items to start the conversation, but you'll learn a lot more about her if you can find more esoteric things to discuss: a cult TV show that she may love, an obscure musician she listens to religiously, or a Golden Era movie star whom she admires. Try to find pop culture items that you both love, using them as a common point of reference going forward. Vaux, Robert. "What to Talk About With a Girl at a Party." Dating Tips - Match.com, https://datingtips.match.com/talk-girl-party-13197077.html. Accessed 24 April 2019.